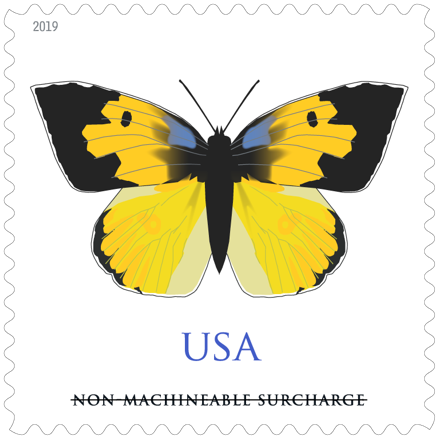 A large part of the USA's stamp schedule has been released, with a range of subjects to be celebrated over the coming twelve months. Subjects include the Woodstock music festival, which took place in Bethel, New York, in August 1969; the soul singer Marvin Gaye who was born in 1939; and poet Walt Whitman (1819–1892). 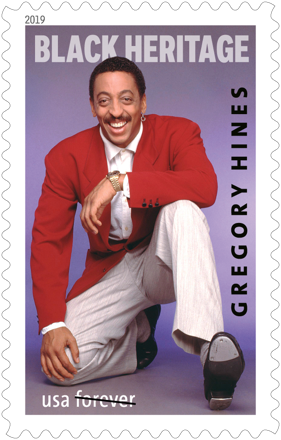 Gregory Hines, whose 'unique style of tap dancing injected new artistry and excitement into a traditional American form' is honoured as part of the Black Heritage series. Despite calls for a stamp to honour the late Aretha Franklin, the 'Queen of Soul' does not appear on the provisional list. 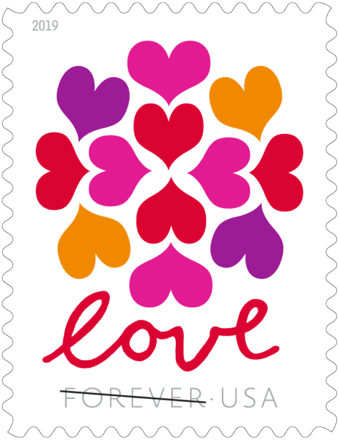 The latest stamp in the Love series from the U.S. Postal Service. The stamp art features the word “Love” in cursive script below 12 colorful hearts meant to visually express love’s joyful, bountiful nature. The twelfth and final stamp in the Celebrating Lunar New Year series. This issuance celebrates the beauty of cactus flowers with a booklet of 20 stamps. 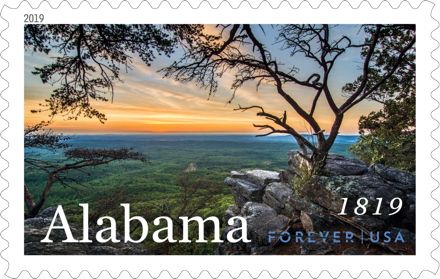 This stamp celebrates the bicentennial of Alabama statehood. With this new stamp in the Music Icons series, the U.S. 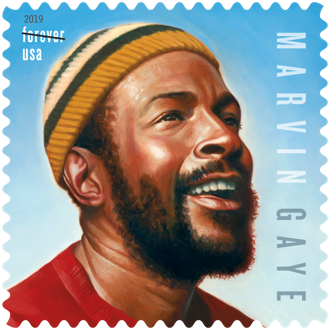 Postal Service honors Marvin Gaye (1939–1984) — the “Prince of Soul” — one of the most influential music performers of his generation. 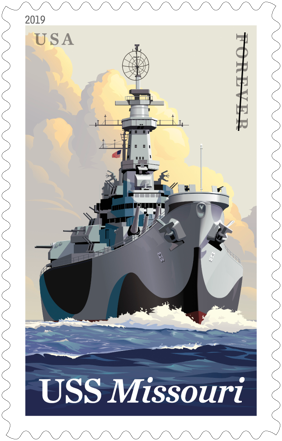 The Postal Service celebrates USS Missouri (BB-63), America’s last battleship, with the issuance of a commemorative stamp in 2019, coinciding with the 75th anniversary of Missouri’s commissioning on June 11, 1944. This pane of 10 stamps features five different murals designed to add a touch of beauty to Post Office walls and help boost the morale of Americans during the era of the Great Depression. With this new 2019 stamp, the Postal Service celebrates the American flag. This issuance celebrates Wild and Scenic Rivers — exceptional American streams that run freely through natural landscapes without man-made alterations. 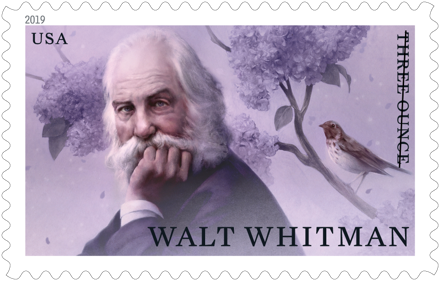 With this stamp, the 32nd in the Literary Arts series, the Postal Service honors poet Walt Whitman (1819–1892) on the bicentennial of his birth. 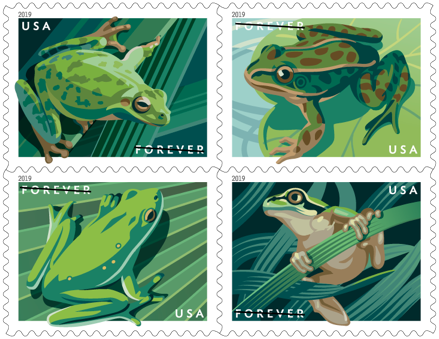 Four new stamps in a booklet of 20, featuring digital illustrations of four North American frogs: the Pacific tree frog, the northern leopard frog, the American green tree frog and the squirrel tree frog. Four whimsical se-tenant stamps celebrate the fun of America's state and county fairs. 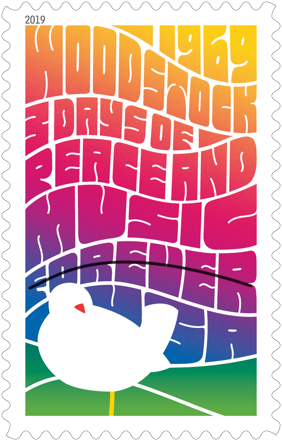 This stamp issuance celebrates the 50th anniversary of the Woodstock Music and Art Fair, the most famous rock festival in history. Booklet of 20 stamps celebrating four of winter’s small yet vibrant offerings: the winterberry (Ilex verticillata), the juniper berry (Juniperus communis), the beautyberry (Callicarpa americana) and the soapberry (Sapindus saponaria). With this Priority Mail Express stamp, the Postal Service commemorates the Bethesda Fountain, one of Central Park's most iconic structures.